Drop in CD sales hits UK music industry revenues | What Hi-Fi? UK music industry revenues fell by £189m last year, largely due to weakening CD sales and continuing digital piracy. Total revenues declined 4.8% to £3.8bn in 2010, while live music sales fell 6.8% to £1.48bn, says PRS for Music in its Adding Up the UK Music Industry report for 2010. 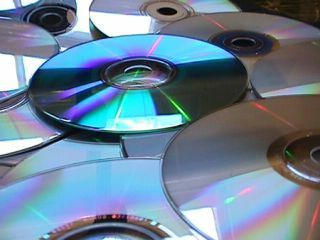 Sales of CDs fell by 7.9% to £1.24bn as music piracy and the increasing popularity of listening to music via streaming services such as Spotify continue to take their toll. However, despite increased growth in revenue from digital services in the UK, up almost 20% year-on-year to £316.5m, the report says the promise of legal streaming and download services appears to have been overstated. "While steep falls in physical revenues continued apace in 2010, there were clear signs that growth in digital revenues slowed across the main international recorded music industry markets," says the report, with global digital revenue growth halving year-on-year to just 5.3%. Yesterday business secretary Vince Cable announced changes to UK copyright law and scrapped plans to block illegal filesharing websites.